Just about all of us have issues with our sinuses at one point or another. A number of things can cause the sinuses to become inflamed or swollen, including allergies, trauma to the face, respiratory tract infections, growths in the sinuses (nasal polyps), a deviated septum and other problems. When sinus problems last less than a couple of months they are no cause for alarm. However, if the swelling lasts longer it can interfere with nasal drainage, cause mucus to accumulate and make it difficult to breathe through the nose. At this point surgery may necessary. Wondering if you need to schedule a sinus surgery consultation? Read on to learn more. If you are experiencing a combination of these symptoms you should see a sinus specialist. The specialist will assess your situation to determine the cause of your sinus problems, and he or she may decide to order tests. Preferably, you should choose an ear, nose and throat specialist (ENT), or otolaryngologist, who is also board certified in facial plastic surgery. These two specialties overlap more than you might think. An otolaryngologist with facial plastic surgery expertise should have an excellent idea of how the various techniques used during sinus surgery will affect the look of the nose and nearby facial features following surgery. What Is A Sinus Surgery Consultation Like? During your sinus surgery consultation your doctor will examine you to determine what is causing your sinus problems and may conduct a number of tests. Other than looking at your sinuses, the doctor will examine your ears, eyes and throat. Importantly, the doctor will also ask you about medications you’re taking, your symptoms, your allergies, your medical history and other questions to help determine the best course of treatment. You should ask questions as well; it’s a good idea to start a list of questions for the doctor right now. Here are three questions the sinus specialist is likely to ask you during your sinus surgery consultation. 1) Do you have any history of sinus problems? Knowing what type of issues you have had with your sinuses in the past, and how they have been treated, will help your surgeon understand your unique situation and determine how to proceed with treatment. For example, if you have a history of chronic sinusitis and have tried all of the alternative treatments, this might indicate to your surgeon that sinus surgery is the only remaining viable course of treatment. 2) Do you have any history of ear, nose and throat related surgeries? The results of prior surgeries can affect the outcome of any future surgeries. For example, many surgeries leave scar tissue that can make it difficult to operate. Also, since sinus surgery is a serious, invasive surgery, if you have had previous sinus surgeries that proved ineffective, your surgeon may advise you to avoid having surgery again — or recommend an alternative course of treatment. For these reasons, your surgeon will want to know about any ear, nose or throat related surgeries you have had in the past. 3) What medications or supplements are you currently taking? Certain medications and supplements can increase the risk of excessive bleeding or other complications. It is very important that you tell your surgeon about any and all prescription and over-the-counter medications you are taking (as well as supplements). When your doctor has finished examining you and asking you any pertinent questions, he or she may prescribe certain medications and recommend other non-surgical treatments before concluding that sinus surgery is necessary. What Determines the Cost of a Rhinoplasty? 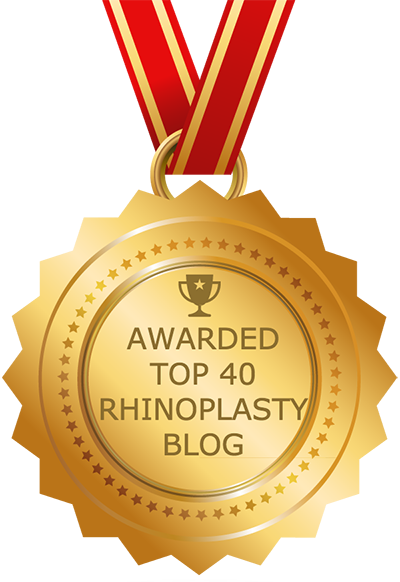 What are Rhinoplasty Grafts Used for? What is an Open Rhinoplasty? What is a Closed Rhinoplasty? Can a Rhinoplasty Treat an Aging Nose? What Determines the Cost of Septoplasty? 2019 © Copyright Rhinoplasty-pedia. All rights reserved.